Everybody knows (or should know) who Robin Gibb is. Member of Bee Gees, he was born Robin Hugh Gibb on December 22nd, 1949 at Douglas, Isle Of Man, England. Twin brother of the late Maurice Gibb, both formed Bee Gees with elder brother, Barry Gibb. Another brother was Andy Gibb who also had a short succesful career until his sad death. Bee Gees came back to England in 1966, getting a new recording contract, and adding Colin Peterson on drums as their 4th member. Melouney stayed with the band until December 1968. But in May 1969, Robin Gibb surprisingly announces that he leaves the band to start his solo career. Robin started his solo career, releasing the album Robin´s reign. Their first new album together was 2 years on. Geoff Bridgford left them in the middle of the recording of To who it may concern, so legendary sessionman Clem Cattini was used in the album. But Karan only remained for their tour until July 1972. But Westley came back in 1976 for enriching the live band. A concert held in November 1989 was released on two videos, One for all. 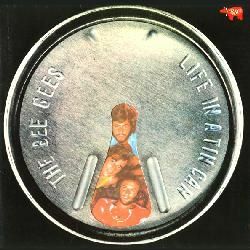 Some of these live tracks also appeared in a Bee Gees 4CD boxset, Tales from the Brothers Gibb: a history in song 1967-1990, as well as one track appearing in the collective charity album Nobody´s child. The band went on hiatus when Maurice Gibb passed away on January 2003. Robin and Barry started working in other projects for some time. Peter Ballin, George Bitzer, Matt Bonelli, Neal Bonsanti, Richard Bravo, Geoff Bridgford, Dennis Bryon, Tim Cansfield, Beth Cohen, Harold Cowart, Doug Emery, Ken Faulk, Barry Gibb, Maurice Gibb, Stephen Gibb, Peter Graves, Linda Harmon, Julio Hernandez, Chris Karan, Alan Kendall, Jeff Kievit, Joe Lala, Lee Levin, Vic Martin, Vince Melouney,... up to 41 musicians. Robin passed away on May 20th, 2012. in London, England, due to colon cancer He was 62, and a legend to me, who loves all Bee Gees classic songs since I was very young. I started buying their albums soon, and I also bought several Robin solo albums, starting by Robin´s reign. Robin´s voice give me shivers in many of their songs. Rest in peace, Robin. Comments: This song appears in the Times Square soundtrack. Comments: CD recorded live with the Neue Philharmonie Frankfurt Orchestra. There´s also a DVD edition. Comments: DVD recorded live with the Neue Philharmonie Frankfurt Orchestra. There´s also a CD edition. Comments: DVD recorded live with The Danish National Concert Orchestra. Comments: They were always great! This album contains their usual guitarist, Alan Kendall (guitar), plus guest appearances by Sneaky Pete Kleinow (steel guitar), Tommy Morgan (harmonica), Jerome Richardson (flute), Jane Getz (piano), Jim Keltner (drums). Ric Grech plays great parts of violin and bass in the song ´While I play´. 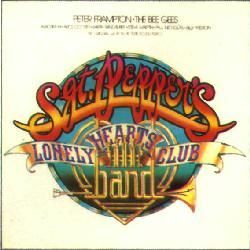 Comments: This was the soundtrack from the movie starring Peter Frampton and The Bee Gees. As many musical movies, it has its ups and downs, as no every performer was a real singer (Steve Martin, for example). But it has its fine moments. Originally a 2LP (my copy includes a big (& ugly) poster), it has 28 tracks, all of them written by The Beatles. Arranged and produced by George Martin, it features Billy Preston, Alice Cooper, Aerosmith or Paul Nicholas. But the great thing is when you check the credits list. With great surprises there. The regular musicians team comprises: Robert Ahwai (guitar), Peter Frampton (guitar solos), Wilbur Bascomb (bass), Max Middleton (keyboards), Bernard Purdie (drums), + Tower of Power Horn Section: Greg Adams (trumpet), Emilio Castillo (sax), Mick Gillette (trombone, trumpet), Steve Doc Kupka (sax), Lenny Pickett (sax). That is, many former Jeff Beck bandmates. And the list of featured guests is: Jeff Beck (guitar), the superb Larry Carlton (guitar), Ricky Hitchcock (guitar), Ray Russell (guitar), Fred Tackett (guitar), Clive Chaman (bass), Francis Monkman (keyboards), Ray Cooper (percussion), Victor Feldman (percussion), and from Toto: David Hungate (bass), David Paich (keyboards) and Jeff Porcaro (drums). Comments: 4CD boxset, part live, with unreleased tracks. Comments: Tribute album to Bee Gees, featuring Al Green, Percy Sledge, Rufus with Chaka Khan, The Staple Singers, Tavares, Richie Havens, Yvonne Elliman, Samantha Sang, Nina Simone, Portrait, Candi Staton, etc. 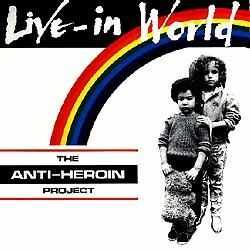 Comments: Collection of live appearances by David Bowie, Stevie Nicks with Sheryl Crow, Pretenders, Counting Crows, Jewel, Eurythmics, John Mellencamp, Elvis Costello, Bee Gees and others. Comments: Benefit single to raise funds for the Tsunami victims. Comments: Soundtrack of a documentary about World War II, all with Beatles songs, recorded by different artists such as Elton John, Rod Stewart, David Essex, Bee Gees (backed by Nicky Hopkins, Les Hurdle, Barry Morgan and Ronnie Verrell, and recorded in 1975), Leo Sayer, Tina Turner, Status Quo, etc. Comments: Soundtrack featuring Roxy Music, Lou Reed, Patti Smith, The Cure, The Ruts, XTC, The Pretenders, Gary Numan, Talking Heads, Ramones, etc. Comments: CD reissue from 2003 contains 1 bonus track. Comments: Parody of Saturday night fever by the characters of Sesame Street, featuring Robin Gibb. Comments: The boxset comprises 5 CDs plus 1 DVD. Fantastic bass player, Donald ´Duck´ Dunn was born Donald Dunn in Memphis, Tennessee, USA on November 24th, 1941. Next to leave that same year was Duck Dunn. This was a solid band! They were the house band for most of the tracks that were recorded by Stax label, thus appearing in dozens of soul classics, as well as touring with Otis Redding. They stayed together until 1971, when Booker T left to start a solo career. The band reppeared for a short time as The MG´s in 1973, but they would reunite in 1975, as we´re going to read. But sadly, just one month later, tragedy struck them when drummer Al Jackson was shot dead at his own home on October 1st, 1975. They start a new tour, but after some concerts, Roger Hawkins is replaced by Eric's old mate, Jamie Oldaker. The tour finished in July 1983. A couple of months later, Eric and Chris played in a very special project, the ARMS tour. They release the album Behind the sun, recorded with some guests: Steve Lukather (guitar, from Toto), Lindsay Buckingham (guitar, from Fleetwood Mac), Jerry Williams (guitar), Nathan East (bass), James Newton-Howard (keyboards), Michael Omartian (keyboards), Greg Phillinganes (keyboards), Jeff Porcaro (drums, from Toto), John Robinson (drums), Phil Collins (drums, also producer), Ray Cooper (percussion), Lenny Castro (percussion). A great lineup. I remember I saw a concert on TV, back in 1985, and I was captivated by what I saw. Not only by Eric, but also by Tim. This was the 1st time I saw Tim ´in action´. They played great guitar duets. The video was officially released as Live 1985. In July 1985, Eric and his band play in the Live Aid macrofestival, augmented by drummer Phil Collins. When the tour ends, in November 1985, all the band members leave (Eric was soon to assemble a smaller band, with Phil Collins). BOOKER T & THE MG´S #? They were joined by special guests and friends Sam Moore, Rufus Thomas and Miki Howard. A month later, Eric augments the band with a horn section (probably Tim Sanders, Simon Clarke and Roddy Lorimer). Rebop Kwaku Baah, Doyle Bramhall II, Randy Brecker, Jim Capaldi, Tim Carmon, Chyna, Eric Clapton, Alan Clark, Simon Clarke, Phil Collins, Ray Cooper, Kenneth Crouch, Ronnie Cuber, Paulinho Da Costa, Alan Darby, David Delhomme, Nathan East, Yvonne Elliman, Andy Fairweather Low, Steve Ferrone, Gina Foster, Steve Gadd, Roger Hawkins, Richie Hayward, Charlean Hines,... up to 61 musicians. Cliff Almond, Dan Aykroyd, John Belushi, Jim Biggins, Keith Carlock, Anthony Cloud, Randy Crawford, Steve Cropper, Clint De Ganon, Murphy Dunne, Eddie Floyd, Siedah Garrett, Danny Gottlieb, Willie Hall, Ned Holder, Birch Johnson, Steve Jordan, Jeff Kazze, Tom Malone, Lou Marini, Tommy McDonnell, Matt Murphy, Glen Palmer, Rob Paparozzi, Leon Pendarvis,... up to 33 musicians. CROSBY STILLS NASH & YOUNG #? Joe Allen, John Barbata, Matraca Berg, Joel Bernstein, Tom Bray, Larry Byrom, Claude Cailliet, Larry Cragg, Anthony Crawford, Chad Cromwell, Steve Cropper, David Crosby, Tim Drummond, John Fumo, Karl Himmel, Wayne Jackson, Booker T Jones, Ben Keith, Jim Keltner, Joe Lala, Robin Lane, Steve Lawrence, Nils Lofgren, Ralph Molina, Bob Mosley,... up to 42 musicians. From that tour, a live DVD+CD album was released, called The Memphis tour. Duck Dunn unexpectedly died while he was sleeping on May 13th, 2012 in Tokyo, Japan where he was playing gigs with his friends Steve Cropper and Eddie Floyd. He was 70 and will be very missed. I wrote my page on Duck back in 1999 (in my old website), and I still hadn´t written the updated page, but as soon as I heard last night of Duck´s demise, I started working in this page again as my tribute to him. I´m still missing more live bands and many album credits (especially from the 60s), but I´ll be completing it as soon as I´m able. Comments: 2nd album by the band, with some tracks by Lewis Steinberg, and others by his replacement, Donald ´Duck´ Dunn. Comments: A recreation of The Beatles´ Abbey Road. Comments: Recorded from August to November 2007. Comments: Live DVD+CD recorded live in 2008. Comments: 3CD boxset with lots of rarities. Comments: Great writer, he is the author of ´Goin´ down´ (covered by everyone: from Jeff Beck to Peter Green). This album features Wayne Perkins (guitar), Tippy Armstrong (guitar), Jimmy Johnson (guitar), Donald 'Duck' Dunn (bass), David Hood (bass), Chris Stainton (keyboards), Barry Beckett (keyboards), Roger Hawkins (drums), the great Kathi McDonald (vocals), Don Preston (vocals), Joey Cooper (vocals), Jeannie Greene (vocals), Marline Greene (vocals), Claudia Linnear (vocals), Furry Lewis (vocals). Comments: Collection of live performances by artists including Little Feat, Booker T & The MG´s, Lou Reed, Boz Scaggs, Bruce Cockburn, James Taylor and others. Comments: CD reissue contains a very long alternate track. Comments: CD reissue contains one bonus track, ´Funky Nassau´. Comments: Some CD reissue contains bonus tracks. My opinion: A great album, I love it. Comments: Part of the album was recorded live. 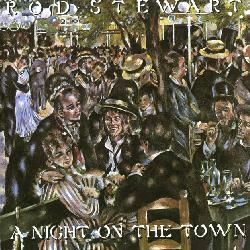 Comments: A night on the town was Rod Stewart´s 2nd "American" album. The list of musicians is amazing: 3/4 of Booker T & The MGs (Steve Cropper on guitar, Donald 'Duck' Dunn on bass, and Al Jackson on drums - Jackson was sadly murdered soon after these sessions), Joe Walsh (guitar), Fred Tackett (guitar), Billy Peek (guitar), Bob Glaub (bass), Leland Sklar (bass), Willie Weeks (bass), David Foster (keyboards), John Jarvis (keyboards), J Smith (keyboards), Plas Johnson (sax), Jerome Jumonville (sax), David Lindley (mandolin, violin), Andy Newmark (drums), Roger Hawkins (drums), Rick Schlosser (drums), Joe Lala (percussion), Tommy Vig (percussion), Jimmy Horowitz (strings), Arif Mardin (strings), Mel Lewis (strings), as well as the horn sections of Memphis Horns and Tower of Power. Comments: Recorded during 1973 and 1974, this album was later reissued under the new title The blues don´t change. Comments: This was the debut album for this succesful composer. 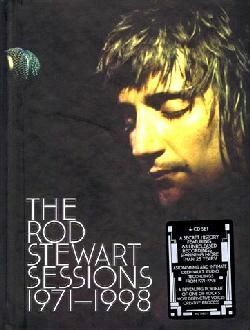 It features most of the musicians that Rod Stewart used to play with: Jim Cregan (guitar), Steve Cropper (guitar), Fred Tackett (guitar), Donald 'Duck' Dunn (bass), Ron Carter (bass), Bob Glaub (bass), Mike Porcaro (bass), John Jarvis (keyboards), David Foster (keyboards), Ian Underwood (keyboards), Bobbye Hall (percussion), Tommy Vig (percussion), Jeff Porcaro (drums), Grady Tate (drums), Brooks Hunnicutt (vocals). 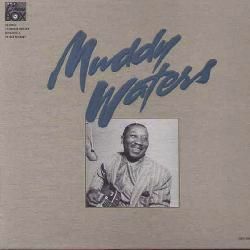 Comments: Compilation comprising some tracks by Muddy Waters (taken from his album Fathers & sons), and some others by Howlin´ Wolf (from his album The London Howlin´ Wolf sessions). Comments: 6LP (or 3CD) boxset. Comments: Compilation with 4 unreleased tracks. Comments: Compilation with many unreleased tracks. Comments: Compilation with unreleased tracks. Comments: Compilation featuring live tracks from 1963 and 1969. Comments: Compilation with several unreleased tracks. Disclaimer: I don´t own or upload any of the videos linked here. I just include links to live videos that are already available, in order to show the work of this musician. Anyway, if someone feels that some link shouldn't be included, please write me at the email address shown below. And if you know of more videos featuring Donald ´Duck´ Dunn, please, also write me with the link. Featuring: Steve Cropper, Donald ´Duck´ Dunn, Steve Potts, Guy Sebastian, Lester Snell. Rest of the band unknown to me. Brian O´Neill: for info on Duck Dunn with Donny Hathaway (2002). Sandra: for info on Duck Dunn touring with Guy Sebastian (2008). 14/May/2012 - Page added to the blog.